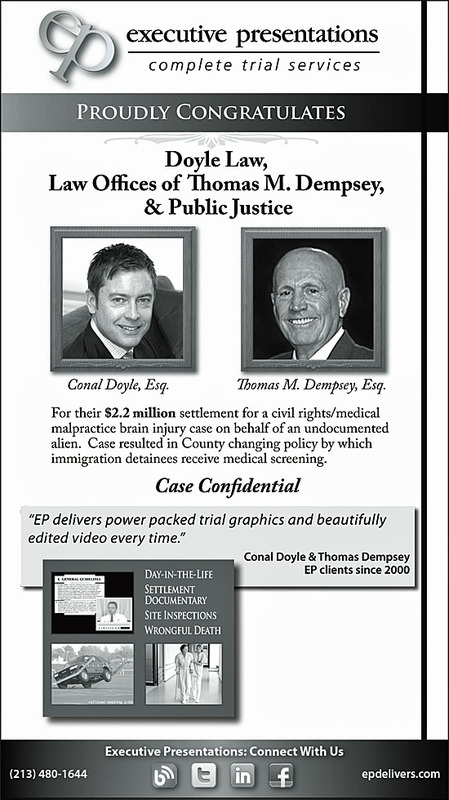 This advertisement appeared in the February 1, 2013, issue of Los Angeles Daily Journal. 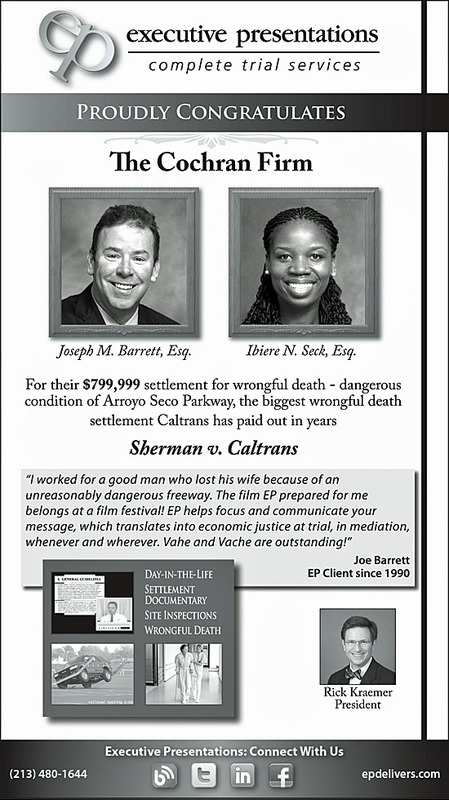 This advertisement appeared in the January 25, 2013, issue of Los Angeles Daily Journal. 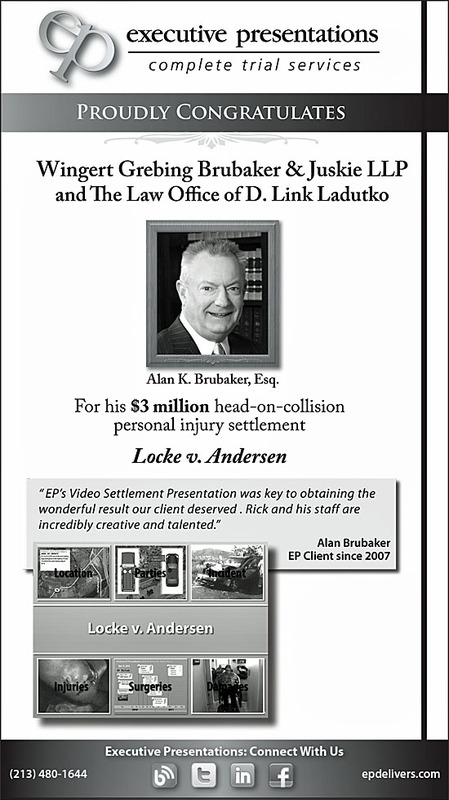 This advertisement appeared in the January 18, 2013, issue of Los Angeles Daily Journal. This advertisement appeared in the January 11, 2013, issue of Los Angeles Daily Journal. 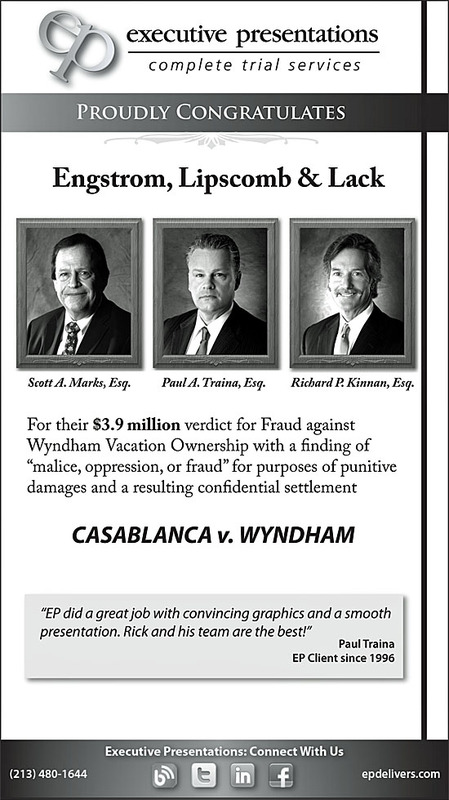 This advertisement appeared in the December 21, 2012, issue of Los Angeles Daily Journal. 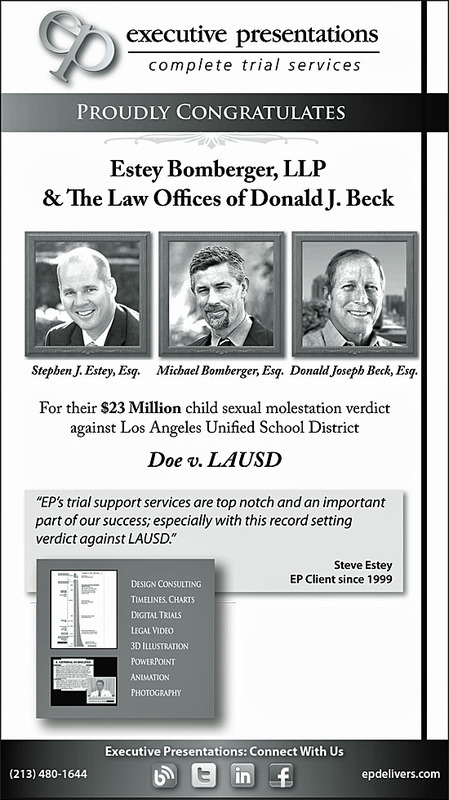 This advertisement appeared in the December 14, 2012, issue of Los Angeles Daily Journal. 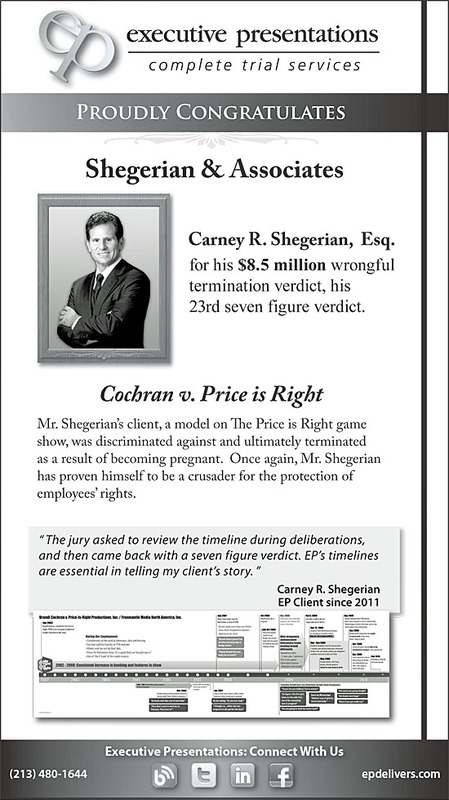 This advertisement appeared in the December 7, 2012, issue of Los Angeles Daily Journal. This advertisement appeared in the November 30, 2012, issue of Los Angeles Daily Journal. 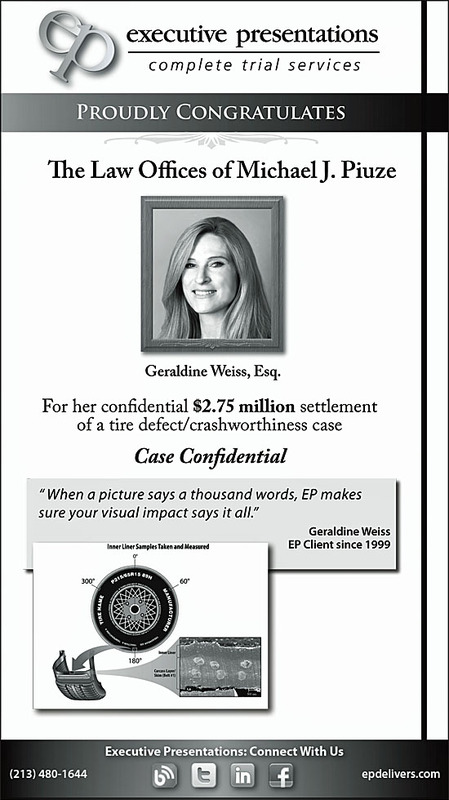 This advertisement appeared in the November 16, 2012, issue of Los Angeles Daily Journal. 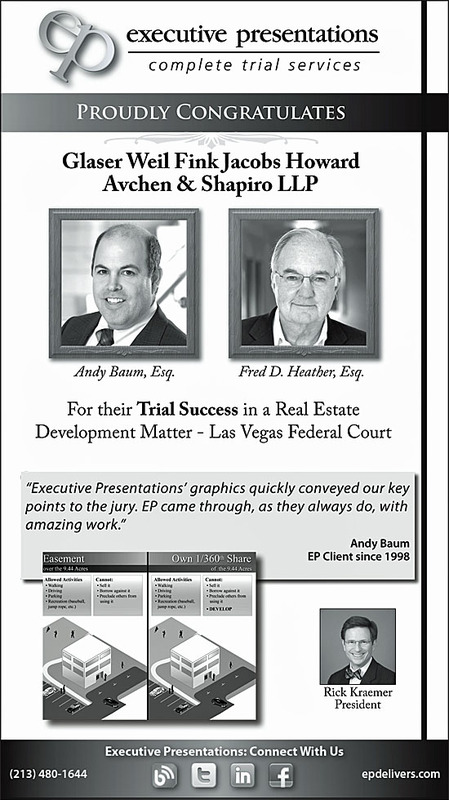 This advertisement appeared in the November 09, 2012, issue of Los Angeles Daily Journal.